If you want to update the visual appearance of your house, but you’re not quite sure exactly what materials you would like to use then you should without doubt consider block paving. 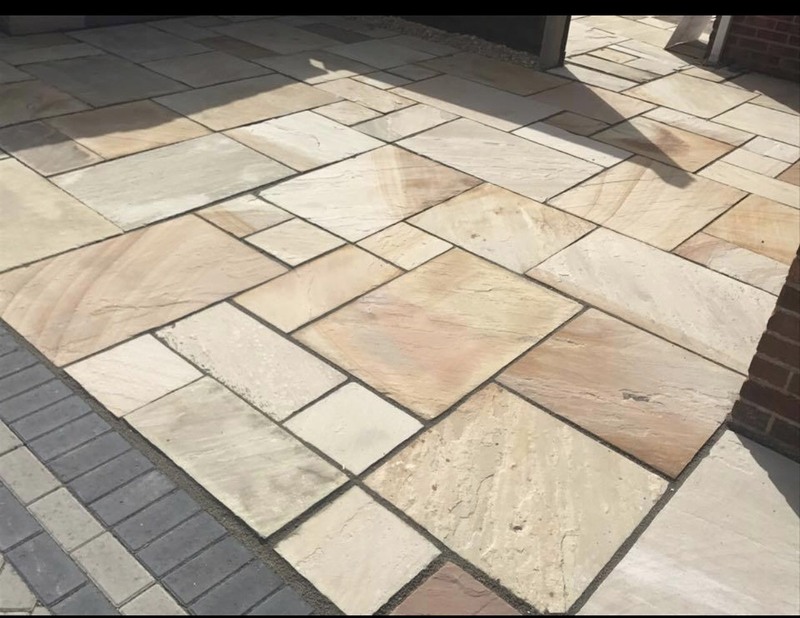 With many different colours from which to choose, you can really create something unique and eye catching when you choose block paving for your patio or driveway project. Many people don’t consider block paving for their driveway or patio because they believe their options are limited when it comes to creativity and design. This couldn’t be further from the truth. In reality, block paving for driveways and patios represents one of the best options available to homeowners. Block paving in Preston is hard wearing, and will involve very little maintenance. Block paved patios and driveways don’t wear down over time, and in contrast to materials including concrete and tarmac, they aren’t prone to cracks. You’ll also find that the block work doesn’t get really hot in the course of summer, so it’s ideal if you park your car on the driveway instead of in the garage. Block paving is easily installed when you contact experienced professionals, and offers a number of benefits over other kinds of patio and driveway surfacing materials. When it comes to designing a block paved patio or driveway in Preston your options are endless, the sky is really the limit. Block paving is an excellent surface material for pathways. Whilst for pathways you typically wont be able to add circular designs or swirls, you do have endless colour options from which to choose. Maintenance for block paving is low but you will find over time that weeds and moss grows between the cracks of the bricks. Moss and weed growth can be handled in seconds, but the real appeal of block paving is that that’s about all you need to concern yourself with – the bricks themselves won’t fade or dull over time. With traditional paving stone pathways, you increase the chances of weeds and you also run the risk of them splitting if too much pressure is applied. Block paving, however, is very hard wearing and the smaller stone size provides an outstanding support structure. 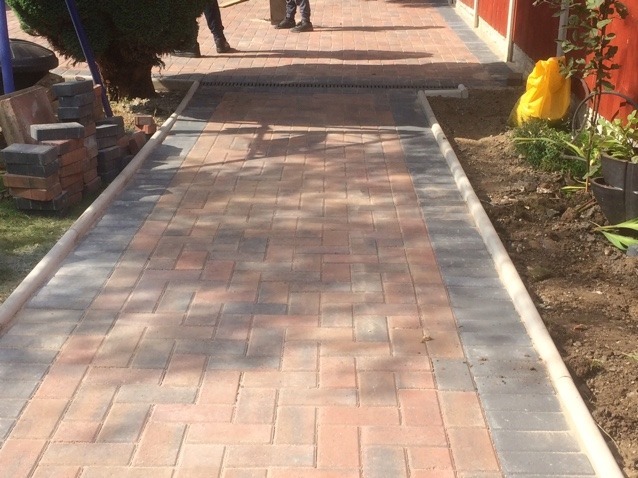 Because block paving sections are so small, you can create curved pathway designs with ease, so you can have them going through your garden, at the front of your home or you could even have them to connect your driveway to your home. Block paved driveways continue to be one of the most popular choices for homeowners installing a new driveway. With plenty of grip, they are ideal in the winter. Block paved driveways don’t get slippery when wet and vehicle weight won’t crack the stones. Some people think paving slabs is a good option for a driveway, but this isn’t recommended. Flags can and do crack much easier than block paving and flagging doesn’t stand up to weight very well and can lift. Block paved driveways don’t present such problems and can easily withstand pressure from even the heaviest of vehicles. Many people go for block paving because it comes in a huge range of different colours. If you want to install block paving on your patio then you should certainly take a look at the benefits that it has to offer. Many people think that wood decking is the better option when it comes to outside flooring but it certainly has a lot of problems. Wood can rot over time, and it can be prone to mites and other insect infestations. With block paving in Preston, you won’t experience any of this and the only thing you need to worry about is a little bit of moss growing in-between your stones. Block paving is a very good option for those who want a low maintenance solution for their outdoor flooring. To arrange a free of charge, no obligation quotation for block paving in Preston, contact AM Drives and Landscapes today. See our other services here.